There are many things to look forward to as a parent, a checklist of firsts that will eventually be complete. First steps, first words, the first day of school, the first movie, all are memorable in their own rights, but they are not the memories that run deepest or have the most lasting impact. For me, the first movie for each of my children is a fonder memory for me than my children. What registers strongest for me and for my eldest daughter is the first film that drove her out of her seat, kept her wrapped attention, and sparked her imagination, and formed one of our earliest bonds. She has just turned four-years-old and How to Train Your Dragon opened just after her birthday, so I took her for a special day out, just the two of us. She got a bucket of popcorn nearly as big as she was, along with the biggest box of Red Vines we could find. She was excited, but she did not know why, she knew nothing about this movie, I was excited for her, and I knew nothing about this movie. We were going to see this for the first time together. What we did know was three weeks prior we began reading the Cressida Cowell’s How to Train Your Dragon. It was 9 years ago, and these are details she likely does not remember as well as I do, but that is alright as these are some of my most cherished memories. I will never forget her face in the theatre that day, the wonder slowly washing over her. The terror when the beautiful dragons attacked, the slow recognition of a tumultuous family relationship she would not experience for years to come. Then she saw a kindred spirit in Hiccup and Astrid, endless empathy, and a fiery warrior’s spirit. As the film played on, she slid further forward in her seat until the moment Hiccup and Toothless were taking their first flight together. At that point, her chin was resting on the seatback in front of her. John Powell’s soaring and powerful score was washing over her and then the moment Hiccup fell from the saddle. Toothless was racing after him until Toothless and Hiccup met and they pulled up in a death-defying flight, and the orchestra rose with them and my daughter leaped from her seat, arms in the air cheering with all the might her four-year-old body could muster. That moment I knew a fan was born, over the next four years she would watch the movie countless times, followed by the short films, and the animated series. She devours books about dragons, and then at eight-years-old, we had the chance to repeat our experience in the theatre for How to Train Your Dragon 2. Her unrestrained exuberance had tempered into a mostly quiet buzzing in her seat, but she was still so captivated she forgot about the popcorn. She has continued to devour ever thicker books about Dragons, and her fandom has stretched through every branch of fantasy. Now five years later we are about to enter a theatre once again, this time for a closing chapter, one the first closing chapters of her childhood, as the chapters of her own childhood also come to an end. After a decade of watching my children grow, and seeing what has influenced them, one of the strongest influences I see come from the Dreamwork’s Dragons. 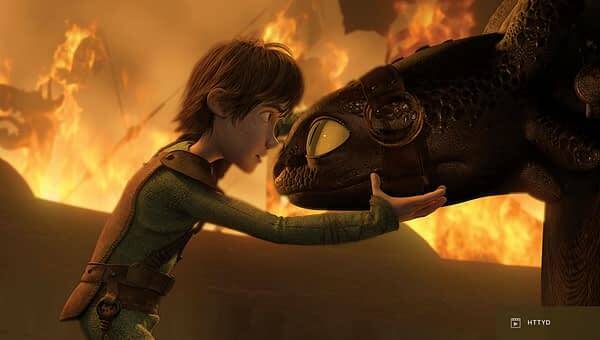 It is not just my children, I have seen the influence of Hiccup, Astrid, and Toothless in the friends of my children. Vikings that dared empathize with a deadly dragon, a society that learned to value compassion, and grew stronger through friendship showed a generation a better way. Now that the franchise is ending this generation has begun to express their gratitude, and grief on social media. The outpouring of emotion is palpable and illustrates how these films inspired a generation for the better. Soon my daughter and I will be walking out of a theatre where we will then begin to reflect together on these films. Then together we will begin to explore the impact this finale had on the two of us, and how we think these films will be remembered a decade from now.